Internal injuries suffered in a car accident can quickly turn into a life threatening condition if they are not treated in a timely manner. The main function of the spleen is to purify and filter the blood. The spleen also clears out damaged or worn out red blood cells (RBCs) and microbes from the blood stream. It’s a vital component of the immune system and is responsible for producing white blood cells (WBCs), that produce antibodies and fight infections too. The spleen is located on the left side of the abdomen underneath the ribcage. If you experience pain in this area after suffering a trauma in a car accident, it might be due to a spleen injury. Spleen injuries are normally caused by abdominal trauma, which can occur as a result of car accidents, pedestrian injuries, or other accidents. If you experience any of these symptoms after a car accident, you should seek medical help right away, because a ruptured spleen can quickly turn into a life-threatening condition. 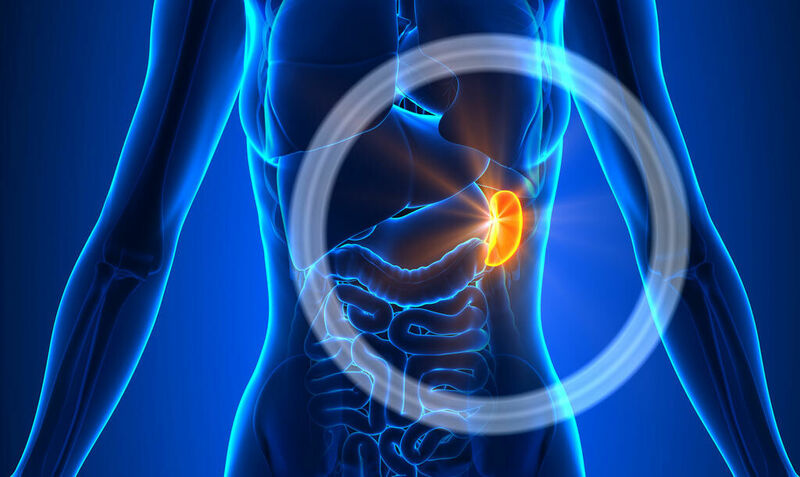 When a car accident victim shows any symptoms of a spleen injury, the doctor will first feel his/her abdomen in the region of the spleen to diagnose an injury. The doctor will look for tenderness and/or swelling during the physical examination. If the doctor suspects a spleen injury, he/she will draw a fluid sample, and if it reveals blood in the abdomen, the doctor may order an imaging test for a better view. Spleen repair: The surgeon will stitch the ruptured area of the spleen. Partial spleen removal Vs. Complete Splenectomy: If only a portion of the spleen is injured, the doctor may perform a partial splenectomy, wherein he/she will remove the injured portion of the spleen. However, if the spleen is severely damaged, the doctor can perform a complete splenectomy. This procedure leaves the patient prone to infections and diseases. If you or someone close to you has suffered a ruptured spleen or other trauma due to car accident, you should seek legal help from a competent St. Louis car injury lawyer.